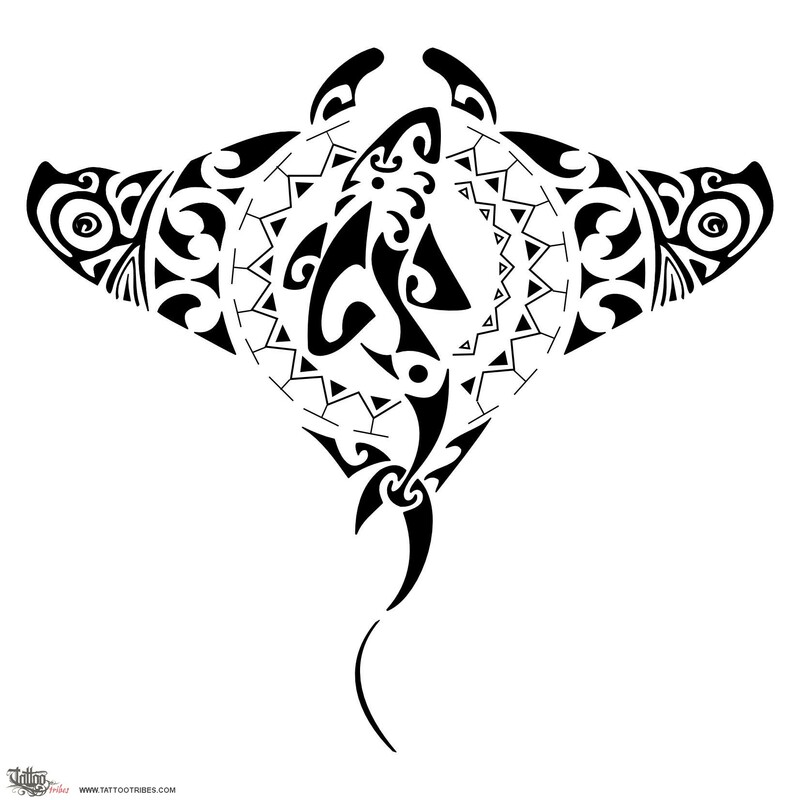 This design has a protective meaning, and that´s why we called it "whakarurutanga", or "safety, protection". 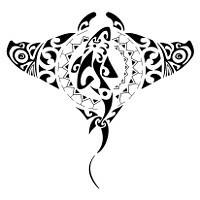 The manta itself is a symbol of protection at sea, and the tikis on the wings´ edges are guardians that protect from both sides. The sun symbolizes eternity and the shark represents adaptability and strength. Korus are symbols of new beginning and the turtle shell motif represents the navigator, someone who travels far. The fish hook symbolizes wealth and abundance, waves are for change, and the island is for returning.